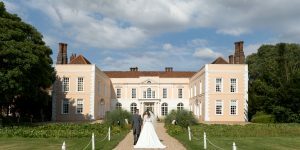 The Confetti Flies at All Manor of Events in Henley, Suffolk. 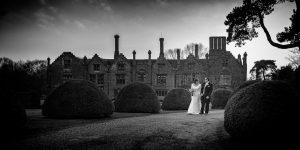 This is part 5 in my series of blogs about wedding photography as a business – dream vs reality. So it all makes sense I recommend you start at part 1. 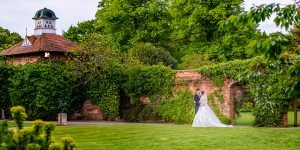 I will share what I have learned about the reality of being self employed for the first time in my life and the practicalities of earning a living from wedding photography. So, having moved up a “price bracket” with my clients, what else did I need to learn ? They started asking me for large wall prints and for wedding albums so I needed to learn about printing and selling albums. A little bit of advice here. Unless you have an interest in “printing” for it’s own sake, don’t bother doing it yourself. I tried and found I was useless at it. It also worked out very expensive for me to “do it yourself”. Ink and paper cost a fortune when purchased in relatively small quantities. Pay for a professional printing company to do it. It really is an art form if you want it done properly. I wanted it done properly, so I had to decide which printing company to use for client’s prints, wedding albums and my advertising literature. The same goes for designing wedding albums. You might be able to make a decent job of designing wedding albums, but this is another area where a true professional designer will generally do a much better job. Besides, I’m getting the bookings for weddings and as I do my own editing, I don’t want to design the albums as well. I have been told by some colleagues they can do an album design in a hour. They select the photos and have software that “sorts the images into place on the album page”. If that gives your albums the type of look you want, great. Go for it. To me it just made all the albums look the same when I want each album to reflect my client’s personalities and tastes. Besides, you can get the design work on your albums done by professional designers for free these days, so why not leave it to them? ( Don’t worry, I haven’t gone mad. I know you don’t get anything “for free”. The cost of designing the album is included in the stated price. It’s more accurate to say you don’t have to pay extra for the design service because it’s already included in the price ). 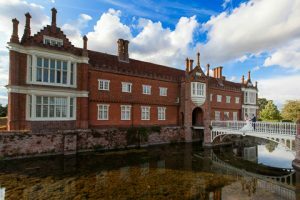 The thing to be wary of when thinking about providing wedding albums is that most printers will tell you there is very little work involved for the photographer when the printers do the design work for you. In my experience, it’s a lie. The photographer still has a fair amount of work to do. 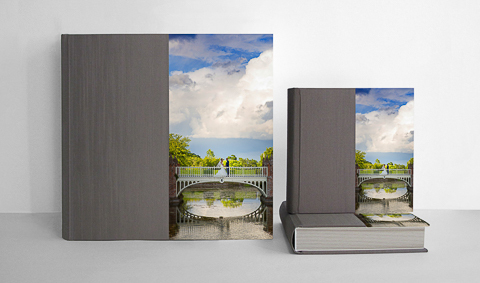 I was advised by one album supplier, when I asked for a guide as to the resale price for wedding albums, to just add £50 to the cost price as I only have to fill in the order form and upload the image files. This is nonsense. I suggest you time yourself. Include all the time you spend going back over the images your client has selected ( You will find yourself doing this because they have to be exactly right for the album ). You will spend time completing the order form and uploading the image files. You will also spend time exchanging emails with your clients and with the designer as they request design changes, additional images, removal of images and so on. Then you will have the inconvenience of making sure you are in to sign for the wedding album when it is delivered. Then you will have to take it to your clients. 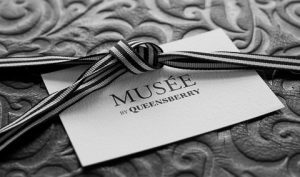 ( You can have it delivered directly to the client, but I advise you check the album yourself before you deliver it to them. I’ll explain why later ). Then there’s the investment you have to make in your supplier’s products. You need sample albums to show your clients, no ? You may get samples at a reduced price, but you still have to invest your money to get them. When you take all this into account, adding £50 to the cost price is a joke. Now I’m not saying don’t offer to supply wedding albums. They are coming back into fashion and they are another revenue stream to help you earn a living. But don’t underestimate the time necessary to do this properly and how much it will cost you if you make a mistake! Tick just one wrong box on the order form, make one small spelling mistake and you have made a mistake that can easily cost you hundreds of pounds. Yes, I’ve done it ! On the upside, you will have another “sample” album to show clients. You will find yourself worrying about whether you have applied the right amount of “sharpening” to your files (some printers add sharpening during the printing process, some don’t) and worrying about getting the colour balance/temperature exactly right and completely uniform so that when you have two outdoor group shots on the page next to each other, the grass looks exactly the same colour on both images. Not sure what I mean ? Try it and you soon will be. 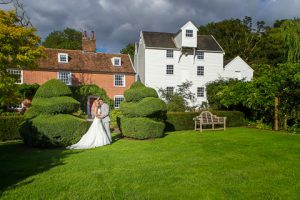 If you do decide to supply wedding albums ( I think you need to if you want to be taken seriously, but it all depends on your target market ) then make sure you choose the right album supplier for you. One that provides the type of product that suits your style and your target market, has an ordering process that is easy to use and has good quality control. The importance of good quality control cannot be overstated. It really is embarrassing to have your clients receive a wedding album which has quality issues. And it can be a lot of grief getting it put right, damaging your reputation in the process! Believe me, I changed album provider after I has been supplied with three albums that I had to return due to poor workmanship. True story. 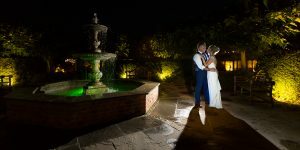 Due to me being abroad for a month, a wedding album went directly to my clients. They simply didn’t want to wait and requested it be sent directly to them. When they received it, there was a problem with warped pages. It all got sorted in the end but it was a lot of grief. The lesson is, no matter how much of a rush your clients are in, examine the album yourself before handing it to them. 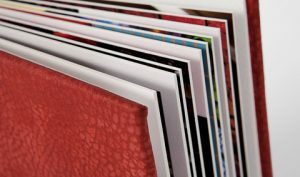 Poor workmanship in wedding albums reflects badly on YOUR business because as far as your clients are concerned, it’s YOU that’s providing their wedding album. 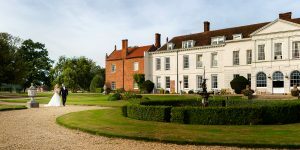 So you can see providing wedding albums is not “easy money” as the printers might have you believe. However, it is worth doing and once you have ordered a dozen or so, you will get the hang of it and be much more relaxed about it. So that’s it on the pricing and wedding album front. In my next blog I’m going to talk about drawing up contracts and the all important “terms and conditions”. You can’t beat a well designed wedding album. 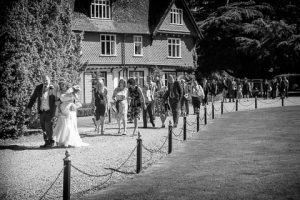 Wedding Albums – an unnecessary expense ? Wedding Albums. Are they a “must have” momento of your day or an unnecessary expense ? Why would you want to buy one ? And why would you want to read what I have to say on the subject ? Well I’m not going to tell you what you must have or don’t need. That’s a decision only you can make. But I think that in order to make the decision that’s right for you, you need information. So in this short blog I would like to tell you about my experiences and thoughts on the subject and provide at least some of the information you need. 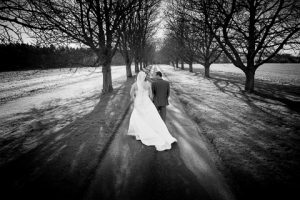 I’m a wedding photographer who, amongst other things, sells wedding albums. Therefore I can make no claim the being unbiased, but I do believe what I have to say is still worth reading. Why ? Well, unlike some who “blog”, I haven’t undergone any training in the art of blogging or attended any lectures on “sales technique”. Ever. What I have to say hasn’t been carefully formulated using buzz words in order to influence you or encourage you to spend money on something you don’t need or want. What I have to say is based on my real world experience and my love for what I do, and it’s in plain english. With the rise in popularity of the “digital only” wedding photography package, you might think there is no place for wedding albums anymore. And with so many things to pay for, why would you want to spend money on an expensive book that will sit in a drawer ? Based on my experience I can say there is a growing demand for wedding albums and the wedding album certainly does still have a place. Perhaps they are becoming “fashionable” once again. Why is that ? Well, my theory is people are realising the shortcomings of only having digital copies of photos. Let me explain. My family recently celebrated our parent’s 60th wedding anniversary. Everyone, yes everyone, wanted to see their wedding album and all the printed photos taken over the years showing parts of each decade. In essence, our family history in pictures. Now what if our parents had married in the time of the digital revolution, when “digital only” packages were the “in thing”. Imagine 60 years from now and all the family want to see what they looked like on their wedding day. 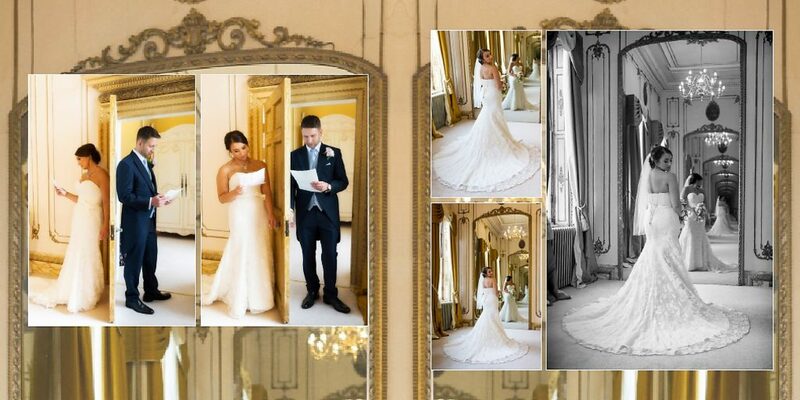 Let’s have a look at the wedding album, shall we. Oh. Wait a minute. They haven’t got one because everything was digital and they couldn’t see the point in buying one! 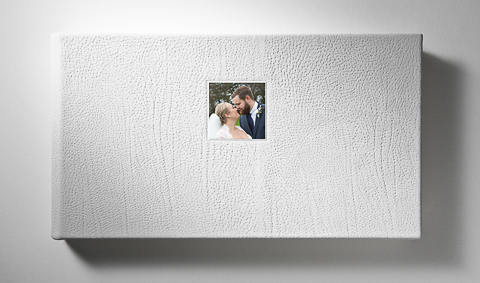 A beautiful Queensberry wedding album in Ivory Contemporary Leather with a cover motif. Now I can’t foretell the future but, having put all their images on Facebook for all the world to see, are they still likely to be able to look at them ? Remember MySpace ? No, not many people do. It no longer exists. Would their photos still be “in the cloud”. Hacking into the websites of these big social media companies appears very popular at the moment so what would be the chances of their account being hacked and all their photos lost ? Who knows. And those USB drives, CDs and computer hard drives they stored copies on stopped working years ago. (read about my experiences with USBs at the end). Then you might have “compatibility” issues. Jpegs, Tiffs and so on are all readable now. But what about in the future ? Remember VHS and Betamax ? (You do! Now you’re showing your age!). You might say, when a new form of media comes around, we will update all our photos to it. Well, aside from the cost of doing this ( that means spending the money you saved by not buying that expensive book, remember ) how many will actually get around to doing it. I wonder how many couples who had their ceremony recorded on VHS have had it converted onto DVD discs ? How much did it cost them to do so ? And how long before DVD players are obsolete technology and they need to convert it to the “latest” technology again ? Those that work in the digital arena say that if you make less than four copies of digital media, it might as well not exist. Data becomes corrupted, especially when making copy after copy of something. The hardware WILL fail at some point. It’s not a question of “if”, just a question of “when”. And when that happens, if you haven’t made a lots of back up copies, your photos will be gone. 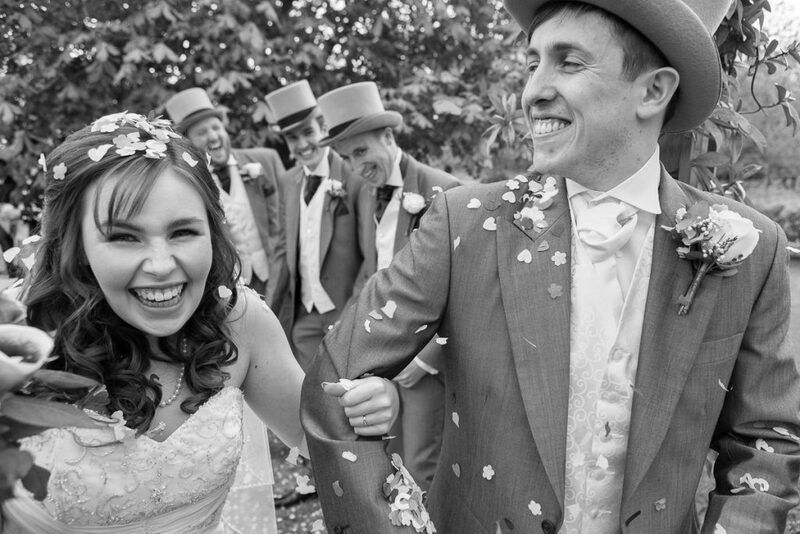 I keep six copies of every wedding photograph I take, some on site and some off site. If one of my clients is unfortunate enough to lose their digital photos, I can currently provide them with copies. But I won’t be around for ever. What will happen when I’m no longer here ? 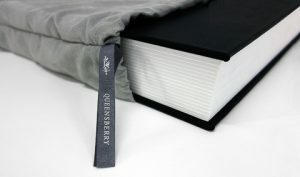 A Queensberry wedding album covered in Tamarillo Contemporary Leather. I think the reality of the “digital only” package is dawning on people. Digital copies of photos are too easily lost forever. The thing is we are still able to look at printed photographs that were taken when photography was in it’s infancy. They haven’t become “unreadable” due to advances in technology. No matter what happens to our current technology, you and future generations will still be able to look at a wedding album for many many years to come. I can’t remember where I saw it now, but I read a simple statement that I believe to be absolutely true. The most photographed generation in history will not have a single photo to look at when they are old. Think about it. Almost all the current generation carry around cameras in their phones. They are constantly taking “selfies” that are stored “in the cloud”. Well, what’s going to happen to those photos? No one knows for certain but I think it highly unlikely those photos will be accessible in 20, 30, 40, 50 years time. Unless they are printed out. You might think yes, I agree with that, but it doesn’t apply to me. I only need a digital package without an album because I can print them off myself. Yes you can. But will you? How many say “I must print those photos off tomorrow, next week, next month, next year……” and never get around to it because “life”, being busy as it is, just gets in the way. How many photos have you got sitting on your phone, or on your computer, or “in the cloud”, waiting to be printed off? Ok, good to your word, you have printed off a few of your favourite wedding photos. The thing is framed photographs and snapshots can only provide a glimpse of one specific moment in your day. When you browse through the pages of a wedding album you, your friends and your family can enjoy the whole story of your day from beginning to end. Sadly memories do fade over time, but when you look through a well designed wedding album, all the little nuances of the day can come rushing back. The look on your Dad’s face when he saw you in your wedding dress for the first time. The look on your husband’s face as you walked down the aisle. The reaction to the best man’s speech when he let out those embarrassing little secrets. And I believe looking through a wedding album is always so much more special than skimming through images on a computer screen. 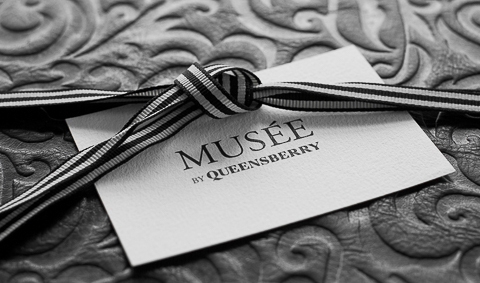 The Queensberry “Musee” wedding album. The height of luxury. As for sitting in a drawer, in years to come you will be glad you have it. It can come out on special occasions such as your wedding anniversary and it will become a family heirloom, passed on to future generations. When you buy a wedding album, you are contributing to your family history. But you offer “digital only” packages, don’t you ? I hear you say. Yes, but I do it for a reason. A good analogy is to think about buying a second hand car. You’re unlikely to buy it until you have taken it for a test drive and are happy with the results. I think you can apply that reasoning to buying a wedding album. I don’t expect you to buy a wedding album until after you have seen your wedding photographs and are happy with them. Times are definately changing again. 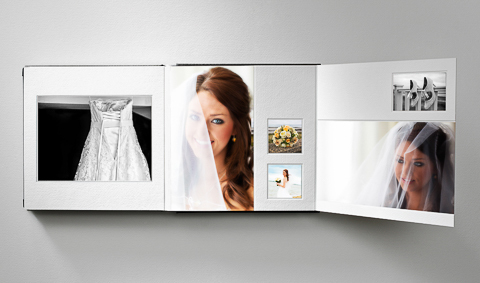 Couples are once more realising the true value of a professionally designed and produced wedding album. 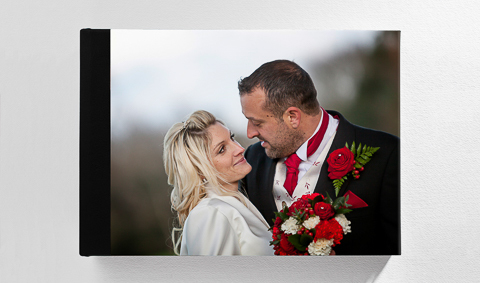 Show how important your wedding photographs are to you and please, invest in a quality wedding album. Talking of USB drives and the reliability of digital storage, I had been supplying my clients with a personalised USB in a presentation tin as I felt it looked a lot better than just handing over a USB stick on it’s own, which is small and easily lost. Unfortunately, some clients have been reporting problems with their USB saying their computers cannot “read” them after only a short period of time. These personalised USBs have no “brand” on them, so I can only think the company supplying these products to me are using the cheapest USBs they can find. I have of course been happy to correct the problem by providing a new “branded” USB with their images on and nowadays, whilst I will still source a personalised presentation box to put the USB in, I no longer use any USBs that are not made by a well known and respected manufacturer. It does go to show that you really cannot rely on USBs and other digital storage media. As I said earlier in this blog, it’s not a question of “if” the device will fail. The failure is inevitable, it’s just a question of “when”.